Email Integration automatically sends an email notification when a user receives a new voice mail message. 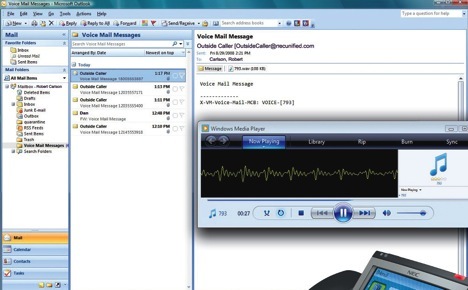 The email can optionally include the voice mail message as a wav file attachment. To hear the message, just double-click the wav attachment to have the message play.